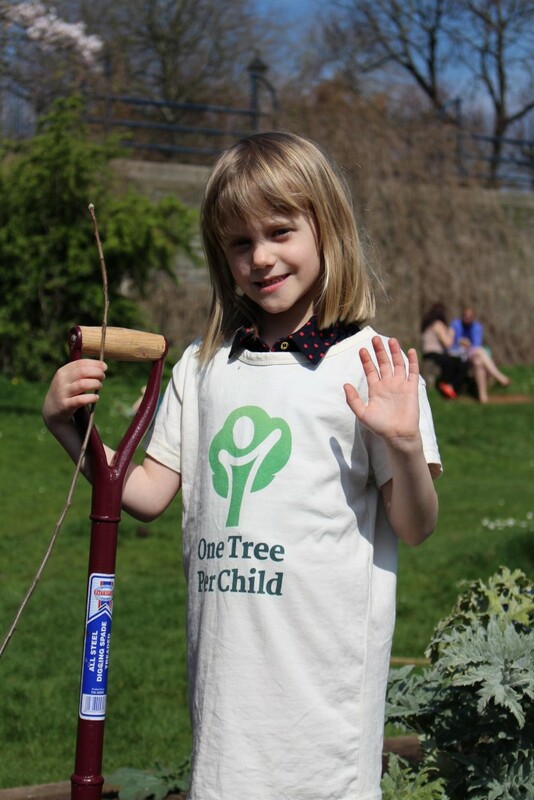 One Tree Per Child | Planting one tree per child. We are rolling out ‘One Tree Per Child’ in two ways. in the first instance we are rolling out the project in partnership with local councils. Councils who sign up agree to approach the primary schools in their local area. They then assist the primary schools to organise tree planting sites where their children can get to plant one tree each. 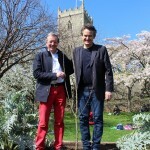 The date of the planting is whatever day best suits the council and the school. This makes it easier for everyone to get involved. where a school approaches us, we work with them to get their local council involved. 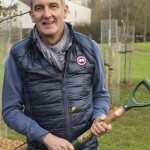 This is because the council often has easier access to trees, shrubs, land, tools and people who can help to prepare the tree planting site. This makes tree planting a lot easier for the schools. 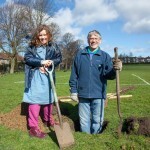 In addition to working with councils, we also work with local tree planting groups and community organisations. These organisations can provide invaluable help to schools. 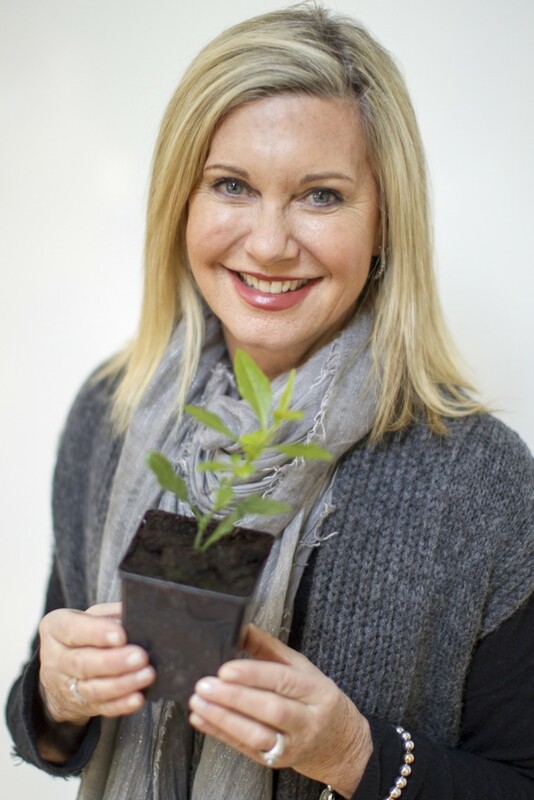 The project has been started by Olivia Newton-John and Jon Dee, the original founders of National Tree Day. 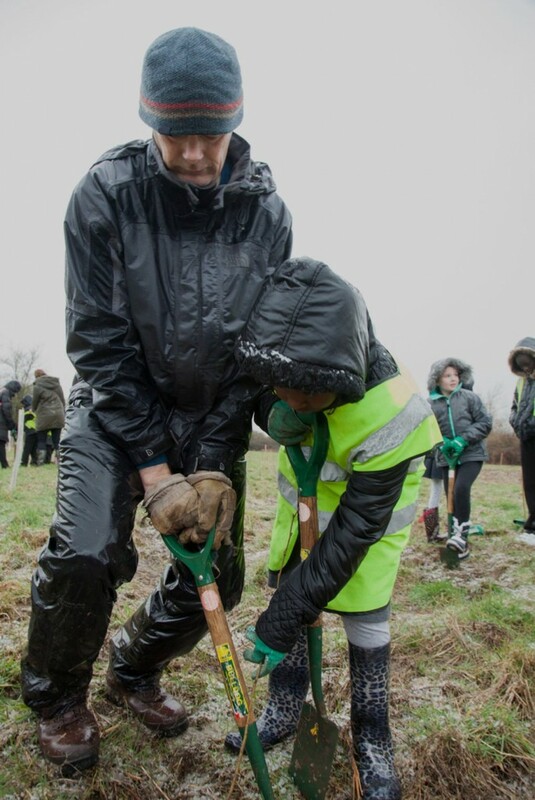 Our aim is to get millions of children planting millions of trees. 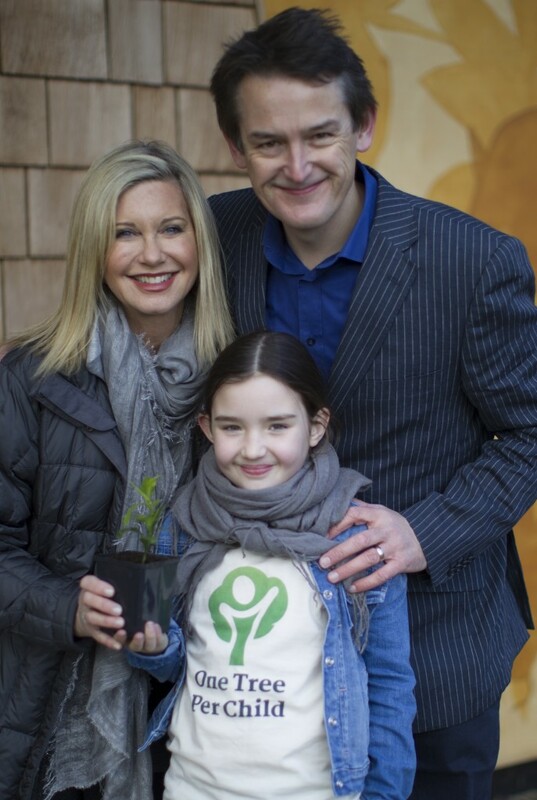 Jon Dee, Estelle Dee and Olivia Newton-John – the Founders of ‘One Tree Per Child’. Where is the programme being rolled out? 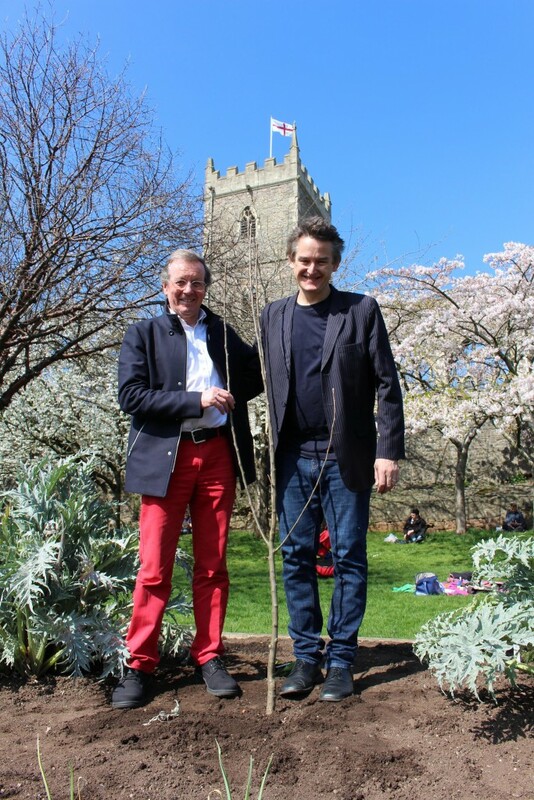 Although ‘One Tree Per Child’ was initiated in Australia, it was launched in February 2015 in the English city of Bristol. 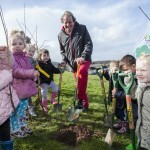 Mayor George Ferguson and Bristol City Council rolled out ‘One Tree Per Child’ to all the city’s 130 primary schools. 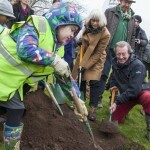 Our plan was to plant 36,000 trees for the 36,000 primary school kids in Bristol. 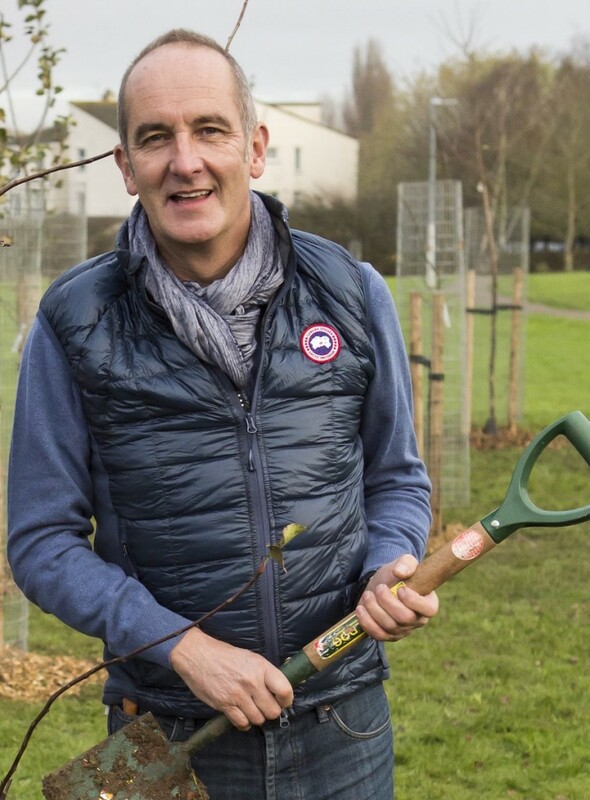 The great news is that by April 2016, we all achieved the target by planting 39,000 trees! Check out their Facebook page and see our media release where well-known stars congratulated the kids on achieving the result. 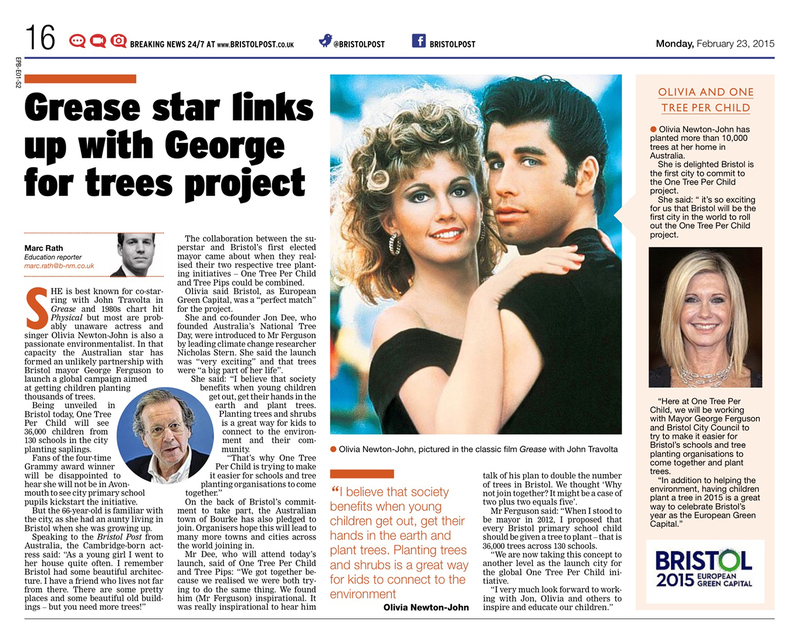 The launch of ‘One Tree Per Child’ received very positive coverage in the Bristol Post (click to view the full image). 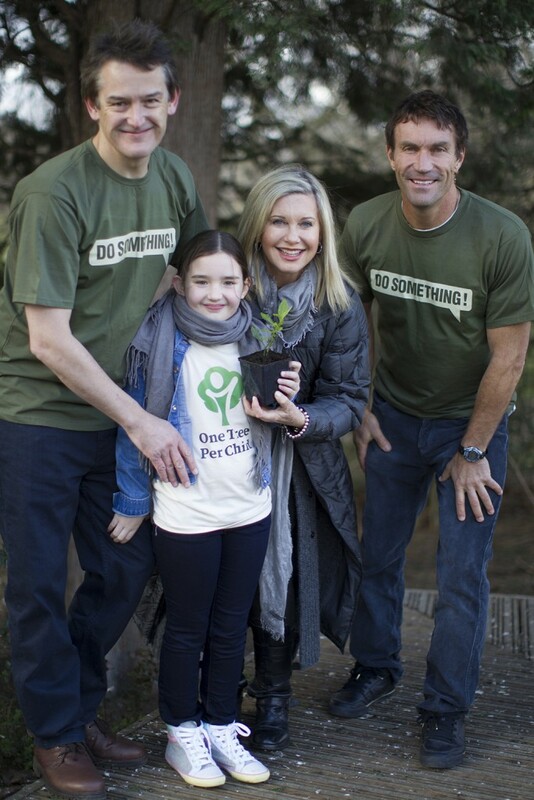 On June 5th, ‘One Tree Per Child’ was launched in Australia by DoSomething in partnership with all 20 News Local newspapers in Sydney. The launch at Bondi Beach was attended by Prime Minister Malcolm Turnbull and Minister for Environment Greg Hunt. Minister Hunt who announced that the Australian Government was giving ‘One Tree Per Child’ $300,000 to fund the first 100,000 trees for the project. To mark the occasion, children from the Blue Mountains, Bourke and Bondi Beach joined forces to plant trees by the beach. Waverley Council and Mayor Sally Betts hosted the launch. Together with Bourke Shire Council, Waverley Council have passed resolutions to implement ‘One Tree Per Child’ with the primary schools in their communities. From day one, trees will be planted by children from Bondi Beach right through to the back of Bourke. In Australia, the project will primarily be rolled out in partnership with local councils. 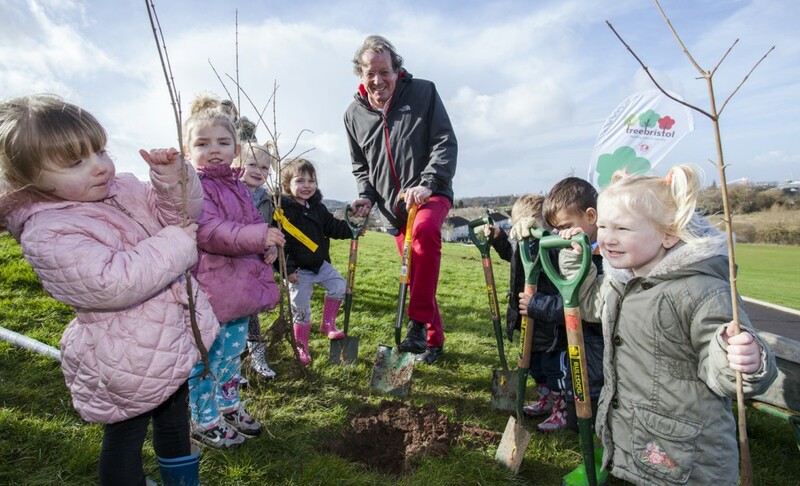 In total, 6 councils have already got involved with One Tree Per Child. 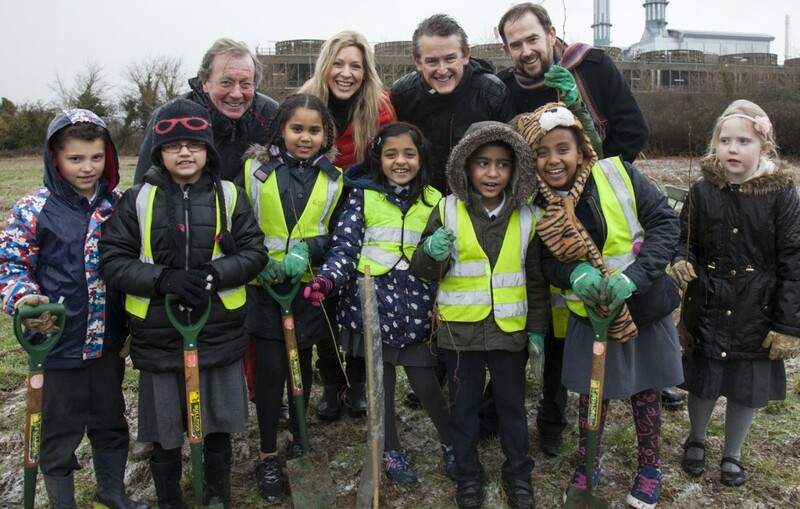 Where councils choose not to get involved, we will work with local tree planting organisations and community groups to ensure that primary schools get the support they need. Once we’re successfully underway in Australia and the UK, our aim is then to roll out ‘One Tree Per Child’ to other countries. Who started One Tree Per Child? 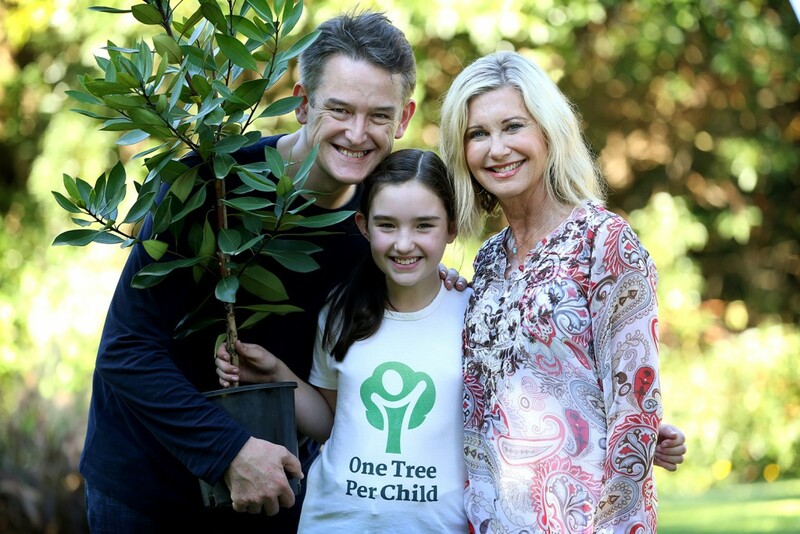 ‘One Tree Per Child’ has been started by Olivia Newton-John and Jon Dee, the original founders of Australia’s highly successful ‘National Tree Day’. 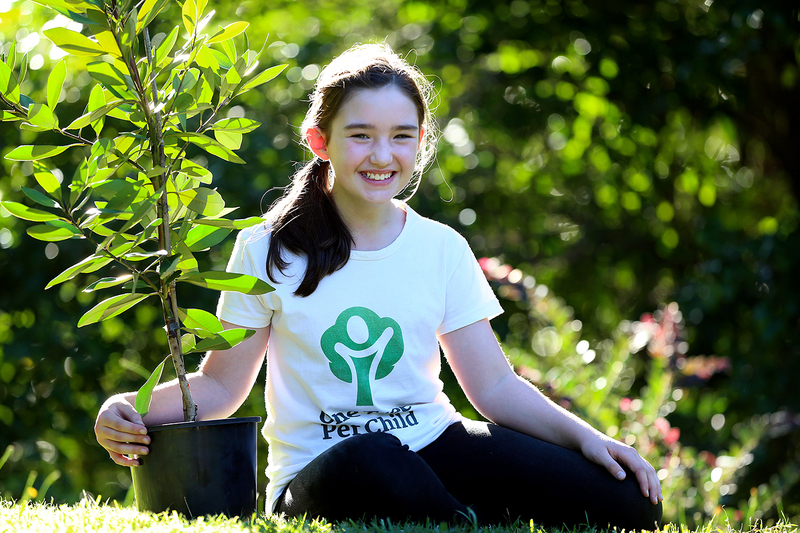 During the 12 years that Olivia and Jon fronted ‘National Tree Day’, over 10 million native trees and shrubs were planted across Australia and hundreds of thousands of children were involved (you can see Jon and Olivia talking about the ten millionth tree in this Tree Day video: jondee.info/tree-day). 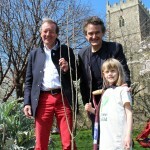 The initiative has been co-founded by Estelle Dee, Jon’s eleven year-old daughter. She’s a passionate tree planter who has planted over 200 native trees. 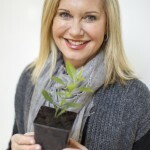 Estelle Dee is the co-founder of ‘One Tree Per Child’. 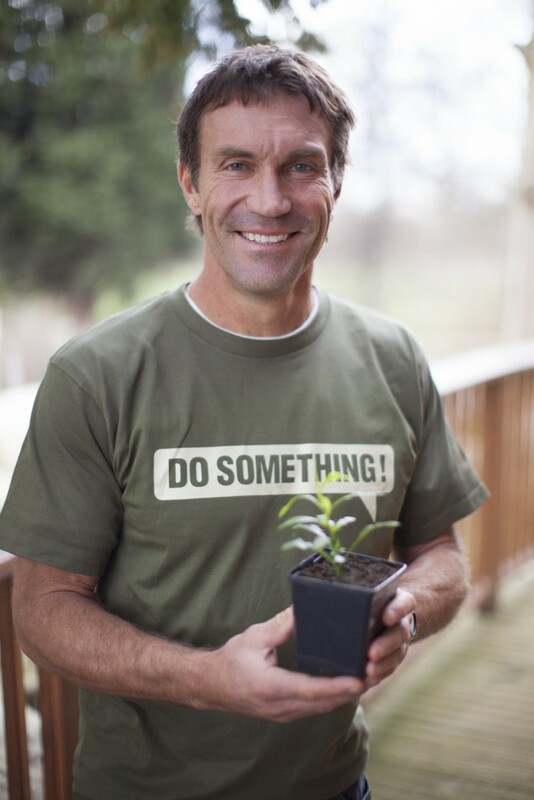 ‘One Tree Per Child’ is administered internationally by the Australian DoSomething charity. 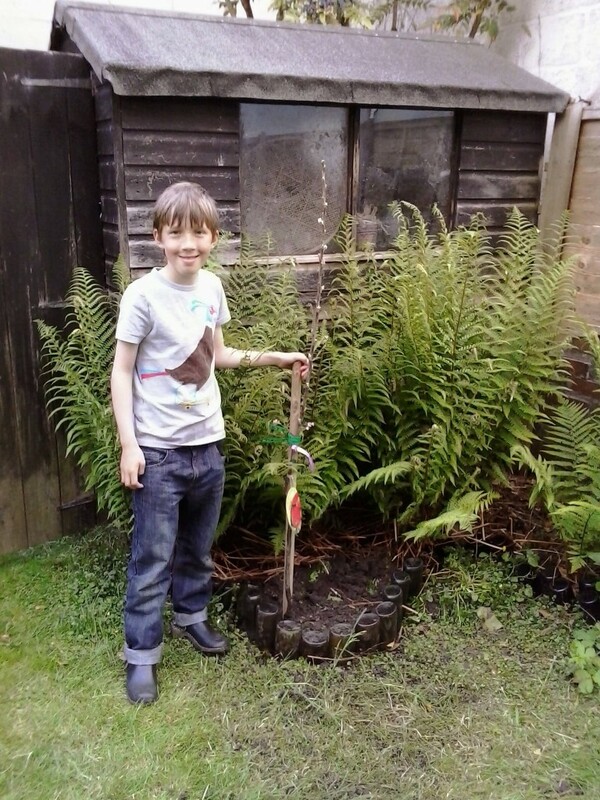 When a child plants a tree or a shrub, it doesn’t just help the environment and wildlife. It can also have a really positive impact on the child and their community. That’s why it’s really important to get your primary school involved! call your council and ask to speak to the Mayor’s office, the community liaison office or the person who’s in charge of tree plantings. Ask them if they’ve signed up to support the ‘One Tree Per Child’ project. If they haven’t, ask them to! 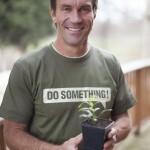 Please give them the OneTreePerChild.com web address and suggest that they get involved. 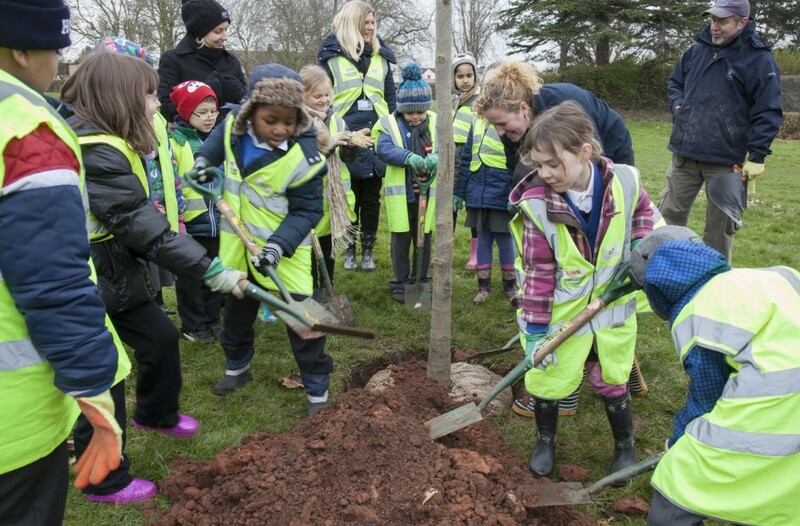 ask your council if they can help your school to plant trees. 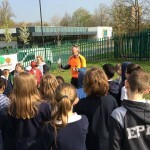 Many councils provide free trees to schools. Councils are great on this front – all you have to do is ask for their help and you’ll often get it. 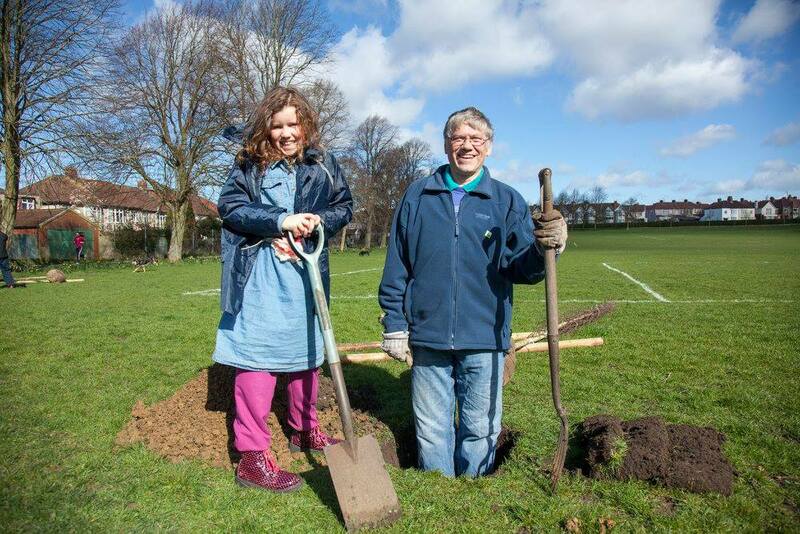 if you don’t have room to plant trees at your school, ask your council to identify some local land where you can plant them. see if your local council can lend you tools and assistance. 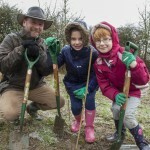 Many councils organise the whole tree planting activity for their local schools. 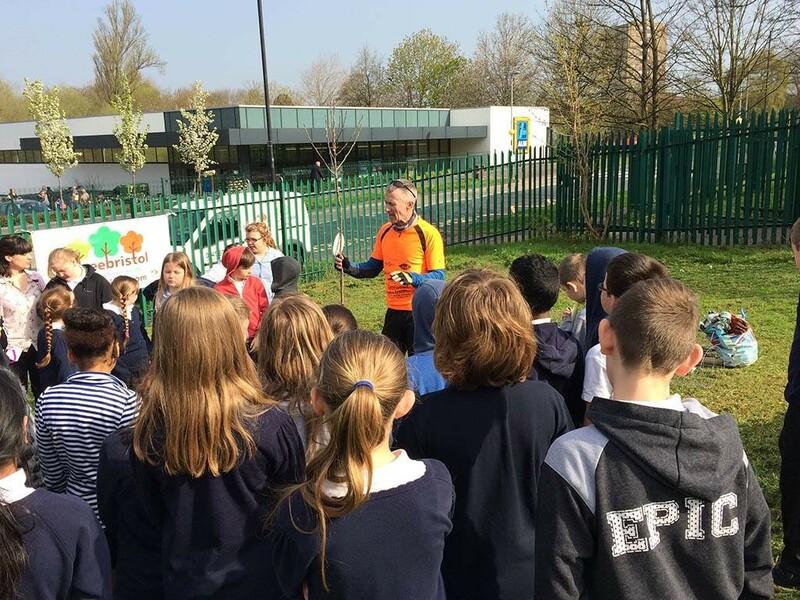 Can your local council do the same for your school? 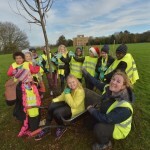 This is particularly useful if your school doesn’t have any experience in organising tree plantings. If you ask your council for help and give them plenty of notice, they should be able to help you. If they seem reluctant because they’re too busy, let them know that your school can totally fit in with their schedule. 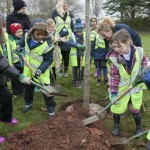 Bristol City Council is organising it so that all 130 schools in their city are getting ‘One Tree Per Child’. They are coordinating all of the tree planting sites at no cost to their schools. Could your local council do the same for your school? 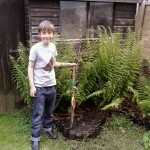 There are many benefits to having our children planting trees. As a child grows, so does their tree. 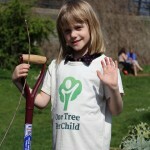 This connection between the child and their tree leads to increased environmental awareness and care. Tree planting gives children ‘a sense of belonging’. When they’re planting a tree or a shrub, the child is literally putting down roots in their community. Psychological research shows a correlation between childhood contact with nature and better mental health. 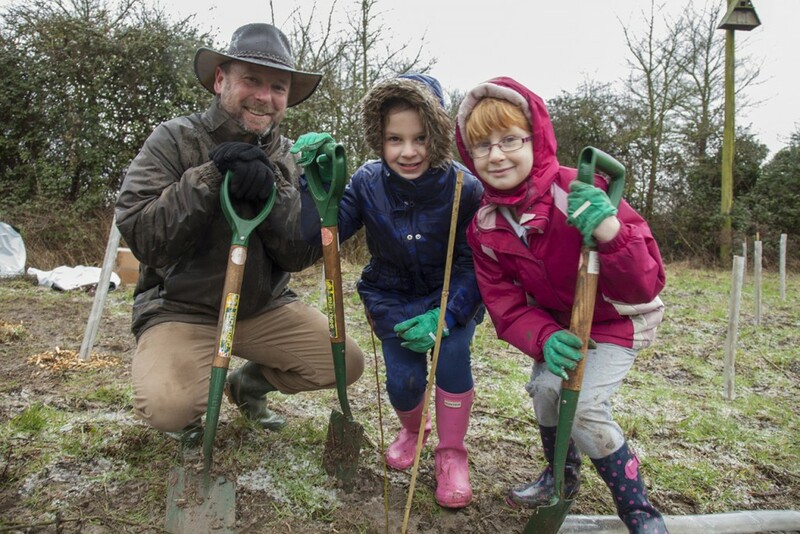 Planting a tree empowers children into realising that they can make a personal difference for wildlife, our soil and the environment. 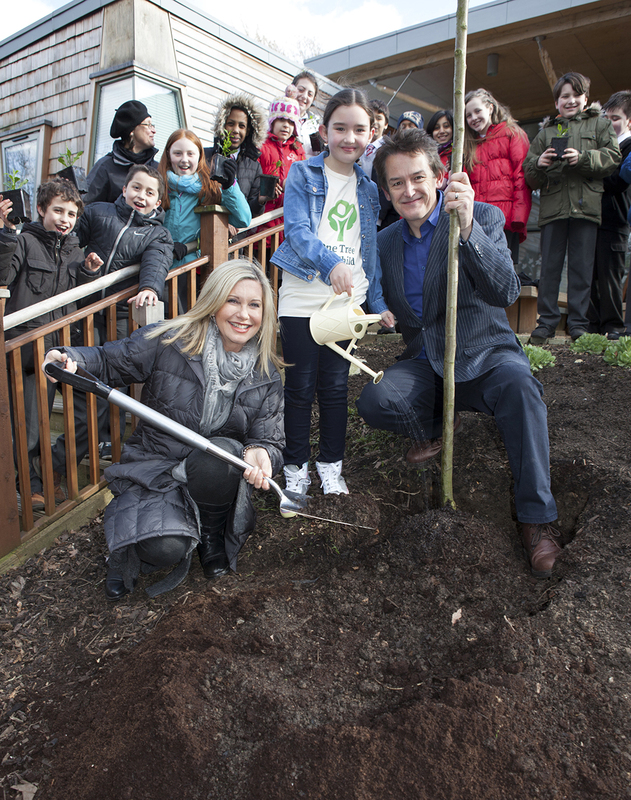 When a child’s tree grows, it also increases its beneficial contribution to wildlife, our soil and the environment. The tree can also provide shade. 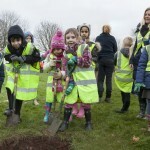 ‘One Tree Per Child’ is being rolled out in partnership with councils in the UK and Australia. Bristol City Council was the first council to roll out the project in the UK. 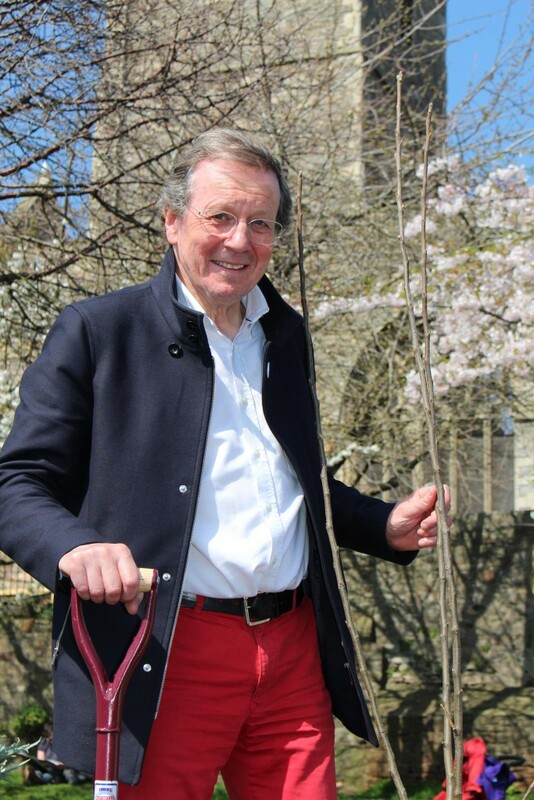 Thanks to them, there is no cost for Bristol’s schools to take part in ‘One Tree Per Child’. We would like Australia’s councils to take a similar approach. 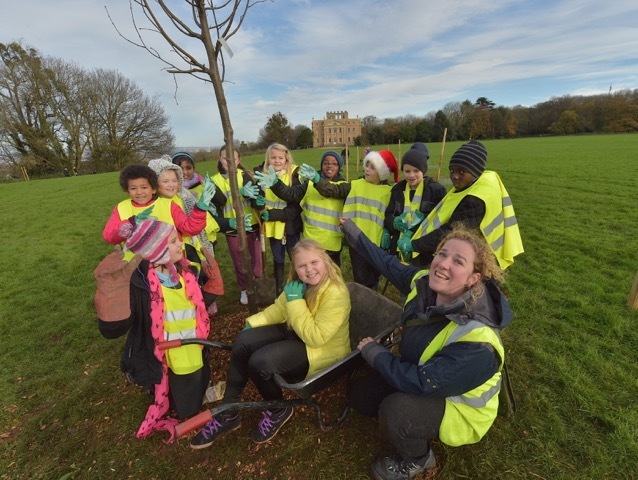 Bristol City Council are covering the cost of the tree seedlings and their existing staff are assisting with the school plantings (these people include community liaison officers and tree officers as well as parks and roads maintenance staff). Local tree planting organisations, native nurseries, horticultural volunteers and community groups are also involved and helping out. It’s a truly community-wide effort! 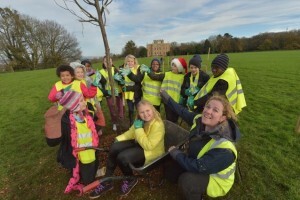 In addition to helping schools with their tree plantings, Bristol City Council has also been sending a staff member to schools to talk at assemblies about the ‘One Tree Per Child’ project and the importance of trees. Council staff have taken the lead in signing up the 130 local schools in their city. 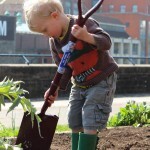 ‘One Tree Per Child’ is now part of Bristol City Council’s tree plan. 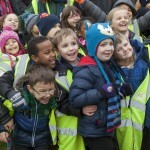 Children are being encouraged to play an active role in the doubling of the city’s tree cover. 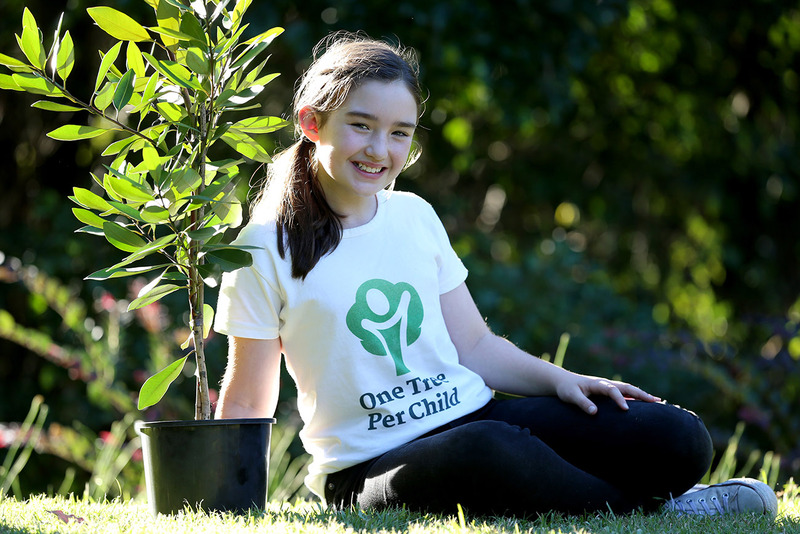 In Australia, Waverley Council and Bourke Shire Council have already passed resolutions to implement ‘One Tree Per Child’ with the primary schools in their communities. The ‘One Tree Per Child’ Mayoral Minute that Waverley Council passed unanimously, can be downloaded from here in PDF format. 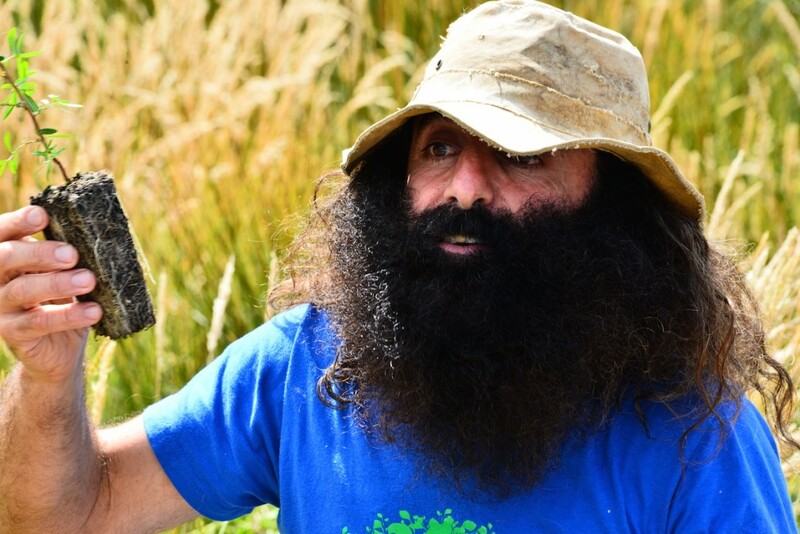 Waverley Council staff have been meeting their local primary schools and have offered to give them free help with their plantings. 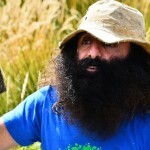 From day one of the initiative, trees will be planted by children from Bondi Beach right through to the back of Bourke. In Australia, the project initially aims to recruit all councils throughout Sydney and the Central Coast. We are doing this in partnership with NewsLocal newspapers. Then it will roll out to other councils and communities around Australia. To sign up your council or to ask us more questions, please click on the menu and fill in the contact form. We do hope that you can get involved! 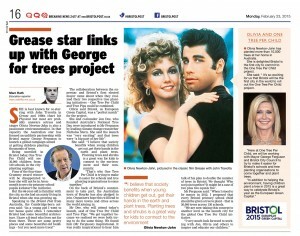 ‘One Tree Per Child’ is fortunate to be backed by some very eminent people both in Australia and the UK. 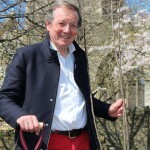 Click on the photos to find out more about the patrons and ambassadors who have helped us to get the project underway. 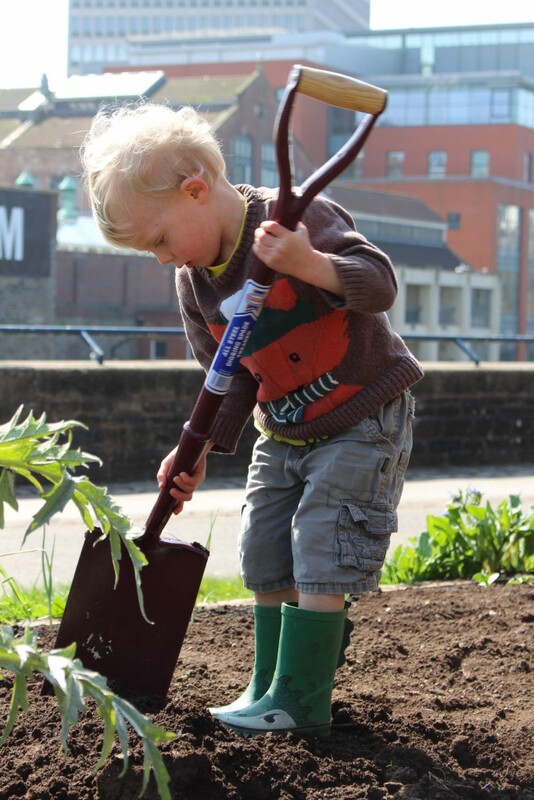 Bristol is the European Green Capital for 2015. It is also the first city in the world to roll out the ‘One Tree Per Child’ initiative. 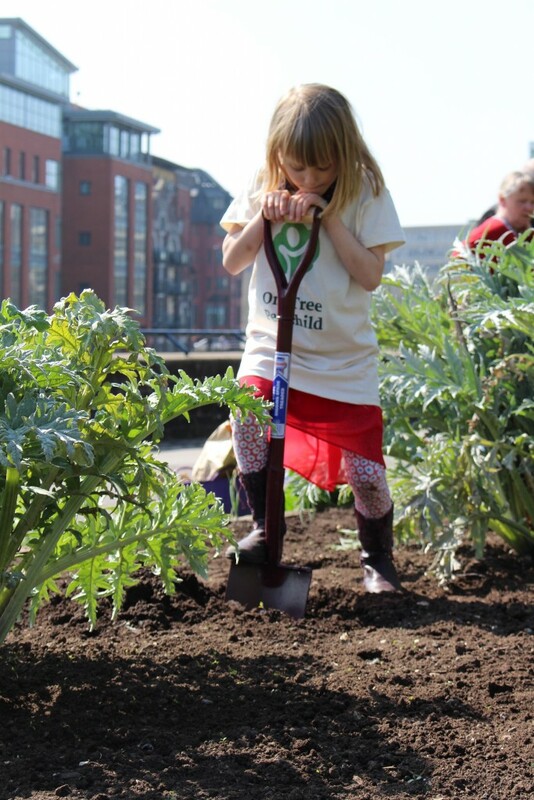 With 36,000 pupils at 130 primary schools, Bristol is the perfect city to launch the project. 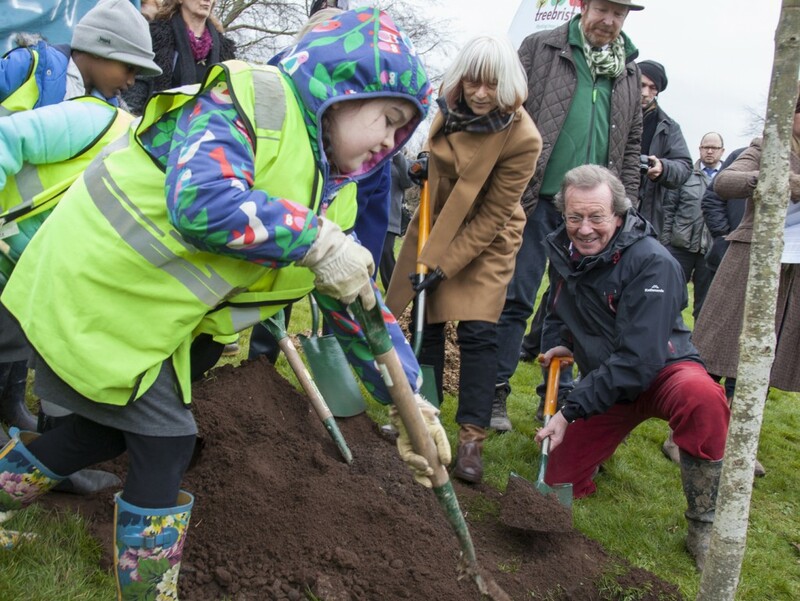 Led by Mayor George Ferguson and his team at Bristol City Council, ‘One Tree Per Child Bristol’ has already been getting trees in the ground. Here are some of the plantings – we have many more planned when the UK tree planting season starts in November 2015. 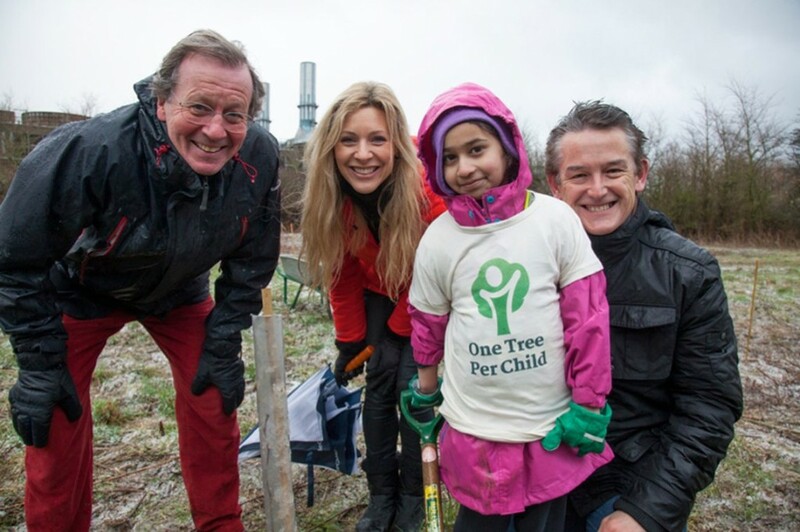 Estelle Dee planting the first ‘One Tree Per Child’ tree in Hyde Park London with Olivia Newton-John and Jon Dee. A big thanks to the Isis Education Centre and Royal Parks. 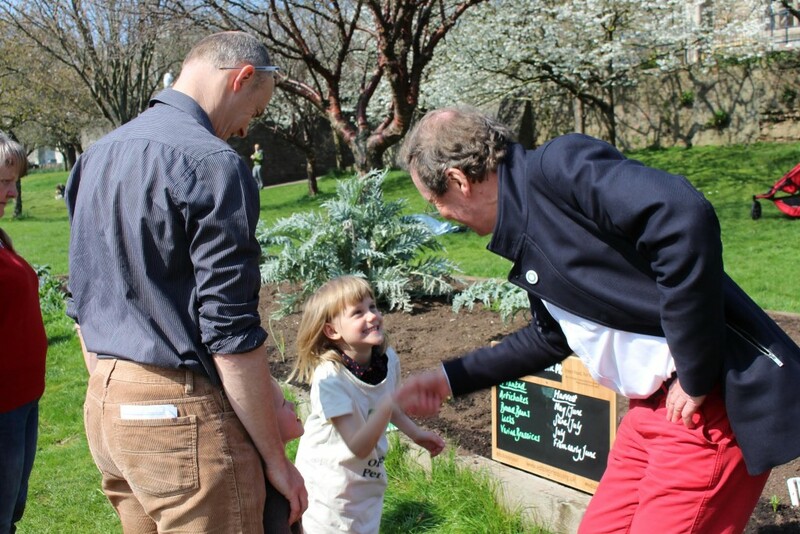 The first tree ever planted for ‘One Tree Per Child’ was planted in London’s Hyde Park. 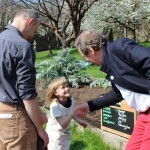 Thanks to Royal Parks, Olivia, Jon and Estelle planted a hawthorne tree at the Isis Education Centre in Hyde Park. 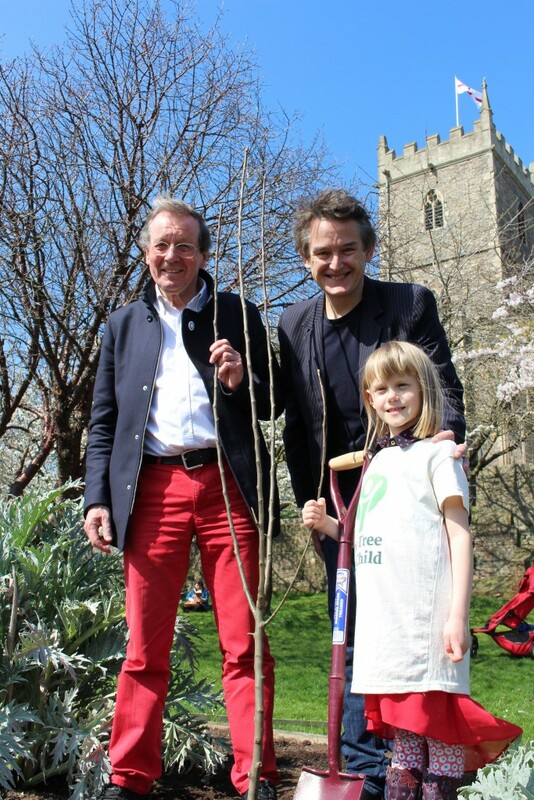 We were joined for the planting by local school children and ‘One Tree Per Child’ ambassador Pat Cash (the co-Founder of DoSomething in Australia). 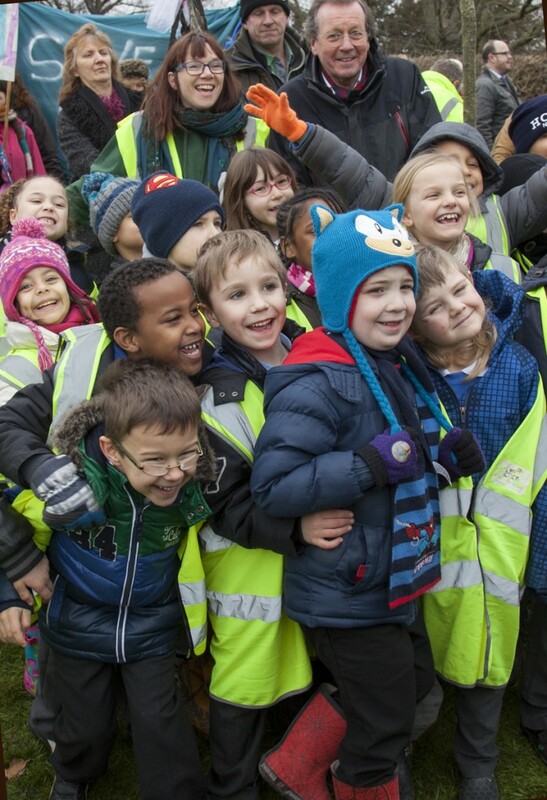 If your school or council want to sign-up to ‘One Tree Per Child’, then we’d love to have you on board! If you have any questions, please use this contact form to get in touch with us. © 2015 One Tree Per Child.